Please complete the form below and your enquiry will be sent directly to Grootbos Foundation via email. Your enquiry has been sent to Grootbos Foundation. The Grootbos Foundation, is a registered Section-21 Company (not for profit) which was established in 2004 to run the non-profit activities of Grootbos Nature Reserve, a unique destination world-renowned for its eco tourism near Cape Town, South Africa. Grootbos Nature Reserve is situated on the Agulhas Plain in the heart of the Cape fynbos lowlands, a region of unprecedented biodiversity value, under extreme human pressures. Effective conservation of this, and our other unique natural areas, will only be possible if they can earn their keep. By this we mean that ways need to be found to deliver better financial returns from natural fynbos and marine landscapes rather than farmed or developed landscapes. Natural resources also need to be made more accessible to the poor so that all people can be educated about their uniqueness and inherent value. The story of Grootbos and its Foundation is a good news story that is tackling these very issues of responsible tourism and social upliftment from a beautiful nature reserve in the heart of the Cape Floral Kingdom. The Grootbos Foundation is a registered section 21 company which was established in 2004 in order to run the non-profit activities of the Grootbos Private Nature Reserve, a unique destination world renowned for its eco-tourism near Cape Town, Africa. The conservation of biodiversity of Grootbos and its surrounds and the development of sustainable nature based livelihoods through ecotourism, research and management and education. 8. The development of an indigenous plant nursery that will generate income for the above activities. The Cape Floristic Region is home to one of the richest floras in the world. Within an area of just under 91 000 km2 there are 9 250 species of flowering plants, some 70% of which are restricted to the region. Fynbos is the major element of this region, contributing more than 80% of its species. The region also includes renosterveld, karroid shrubland, thicket and forests. Fynbos is not only famous for its remarkable diversity, but also the beauty of many of its wildflowers. It is found at the southern tip of Africa in roughly a crescent shaped belt from Vanrhynsdorp in the north, southwards to the Cape Peninsula and eastwards to Port Elizabeth. Fynbos is largely restricted to the distribution of the parallel sandstone and quartzitic formations of the Cape Fold Mountains and the extensive areas of sand and limestone along the coast. Here it thrives on coarse-grained soils that are low in nutrients, especially nitrogen and phosphorous. It is predominantly found in the winter rainfall region of the Cape, although there are areas in the Eastern Cape, where fynbos thrives, that are characterised by year-round rainfall. The main reason for the exceptional diversity in fynbos is not an unusually high concentration of species in a particular site, but rather the high proportion of turnover in species between sites. This is the result of the high rate at which species give way to each other across environmental and geographical gradients. So what makes fynbos really special is its exceptionally high numbers of localised species, often restricted to a single, small area, sometimes less than 1 km2. Grootbos alone is home to at least six endemic species. Grootbos is a unique destination that is world renowned for its eco-tourism. The Grootbos Nature Reserve is situated on the Agulhas Plain in the heart of the Cape fynbos lowlands – a region of unprecedented biodiversity value, under extreme human pressures. Effective conservation of this and our other unique natural areas will only be possible if they can earn their keep. By this we mean that that ways need to be found to deliver better financial returns from natural fynbos and marine landscapes rather than farmed or developed landscapes. Natural resources also need to be made more accessible to the poor so that all people can be educated about their uniqueness and inherent value. The story of Grootbos and its Foundation is a good news story that is tackling these very issues of responsible tourism and social upliftment from a beautiful nature reserve in the heart of the Cape Floral Kingdom. "a unique vegetation study, quite possibly the most detailed ever undertaken in the fynbos region"
When travelling along the main road between Stanford and Gansbaai and looking up at the green hills to the east one could be forgiven for thinking that the vegetation is rather dull and boring. Sean Privett first arrived at Grootbos in January 1997, fresh from completing a study of the fynbos growing on very similar habitats at Cape Point Nature Reserve, some 90 km to the west. The differences in the flora between Grootbos and Cape Point were immediately apparent, despite their obvious similarities in geology, soils and climate. As Sean took his first guided tours of the reserve with inquisitive guests, he was amazed at the diverse habitats and associated species wealth. It quickly became apparent that a full vegetation survey including a species checklist and vegetation-environment analysis was needed for the reserve. In the winter of 1997, they carefully selected sites for 50, 5 x 10m permanent vegetation plots, chosen to include all the obvious habitats on Grootbos. They carefully recorded species and abundances as well as environmental characteristics for each plot. They also recorded all species on our journeys between the plots and while driving around the reserve. The result was a first vegetation map for Grootbos and a list of 250 plant species, of which 31 had Red Data Book status, meaning they were species of conservation concern. One of the species, Erica magnisylvae, found tucked away on a few south facing slopes of the reserve, was new to science. This study was used to extrapolate what the total number of flowering species on the reserve was likely to be and came up with a figure of between 330 and 377 species. At around this time, three major conservation planning exercises were being completed for the Agulhas Plain, and in all three Grootbos was deemed to be an area of low conservation value. According to the available data at the time Grootbos and the surrounding Walker Bay region appeared to lack endemic species and unique habitats, had an impoverished and unremarkable Proteaceae flora – in one of the studies the Protea family was used as a key indicator of botanical wealth – and did not boast unique or rare ecological and evolutionary processes. However, they did not stop there and have continued collecting, identifying and photographing the flora of Grootbos ever since. Initially species were added to our list as they were recorded on guided tours and occasional walks through the reserve. The picture changed considerably as Heiner Lutzeyer became more interested in studying the flora. Initially, it was his interest in photography and the desire to know what he was photographing that increased the reserve’s plant list. Subsequently he has become an ardent amateur botanist and specialist of all that is green on Grootbos. The result is a unique vegetation study, quite possibly the most detailed ever undertaken in the fynbos region, which has continued from 1997 to the present, included all seasons and all stages of post-fire succession on the reserve. The results have been staggering. Between 1997 and early 2010 the number of positively identified, herbarium-catalogued plant species on Grootbos has increased to 765 – at least twice the number estimated from the earlier plot data. Sixty-seven of the additional species that have been found are species of conservation concern, while a further six species new to science have been recorded. The deeply significant ecological role of fire in fynbos was emphasised by the way the checklist jumped from 650 species to 765 after the huge 2006 blaze that swept through Grootbos – 70 new species for our list as a result of post-fire successional processes. Six New Species Discovered on Grootbos! This species was first found by Sean Privett on Grootbos during the original vegetation survey of the reserve in the winter of 1997. It was described by Ted Oliver of the Crompton Herbarium who named it with reference to its discovery on Grootbos; magnisylvae = of the large forest in classical Latin. 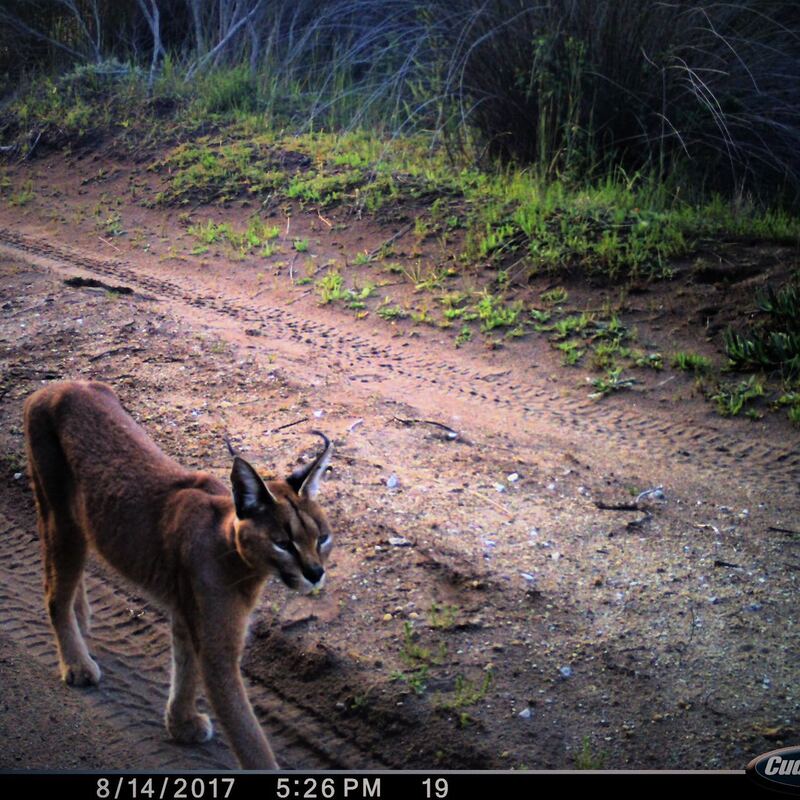 So far, it has only been recored on Grootbos with an outlying population on the damp slopes above Platbos Forest to the south east. At first sight, this species may be mistaken for a member of the genus Anthospermum (Rubiaceae), hence its species name anthospermoides. It was first discovered by Anna Fellingham on Grootbos Nature Reserve in Overberg Dune Strandveld vegetation in 1996. Only four populations are known, all on or in close vicinity to Grootbos and only the population on Grootbos is protected. One of the endemics to Grootbos, this species was first collected by Heiner Lutzeyer on the upper slopes of Witkransberg after a small fire in November 2004. It was sent to Kirstenbosch and thought to be an unusual form of Lachenalia montana that also grows in the area. However, subsequent to the huge, February 2006 fire thousands of this ‘unusual form’ of L. montana appeared on the sandstone ridges of the reserve and it was subsequently classified as a new species, endemic to Grootbos, Lachenalia lutzeyeri. Remarkably, although many leaves were seen in the second year following the fire, only three plants were seen flowering and by year three it had all but disappeared from the landscape – waiting underground for the next fire to bloom and seed! Lachenalia lutzeyeri is presently only known from the type locality on Witkransberg on Grootbos. It has remained undetected until recently owing to its extremely erratic flowering, due to its dependence on summer or early autumn fires, coupled with its very late flowering period and the slim chance of it being recognised as a distinct taxon due to its superficial similarity to other members of the genus. L. lutzeyeri is remarkable in being one of only three members of this genus known to be entirely dependent on the effects of fire for flowering to occur. The others being L. montana and L. sargeantii. on a number of ridges on the reserve between about 350 and 400 m above sea level. First recorded on Grootbos on the path up to Swartkransberg at an altitude of 385 m by Heiner Lutzeyer in 2003. Subsequent collections have been made on these western slopes of the mountain at three separate sites about 260 m apart. A second population is located along the road between Stanford and Gansbaai and a third population is at Die Kelders at an altitude of 50 m. The total known area of extent of this species measures just 5.5 by 3.0 km along an L-shaped range, the majority of which is conserved within the Grootbos Reserve! This species has only ever been recorded on Grootbos. It was first located following the 2006 fire on acidic soils. No plants were found in subsequent searches suggesting that it is a short-lived, fire-induced, species. It is known only from Grootbos, where it was first collected byvHeiner Lutzeyer in 2007 in fynbos vegetation that had burntvthe previous year. No plants could be located in subsequentvsearches suggesting that the species may be a short-livedvspecies, germinating, flowering and dying in the first yearvfollowing fire. Growing the Future is situated amongst the pristine Fynbos, overlooking the Walker Bay on the beautiful Grootbos Nature Reserve. 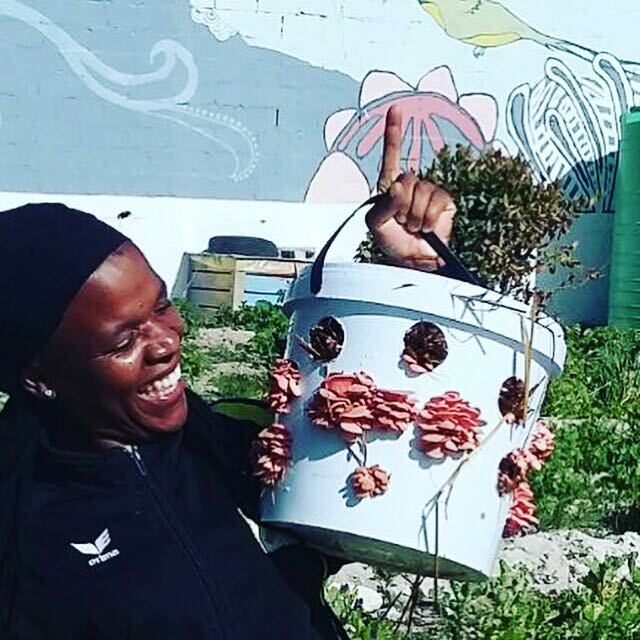 The project was launched on Women's Day in 2009, and is the Grootbos Foundations' second training project, furthering our commitment to developing the local community. 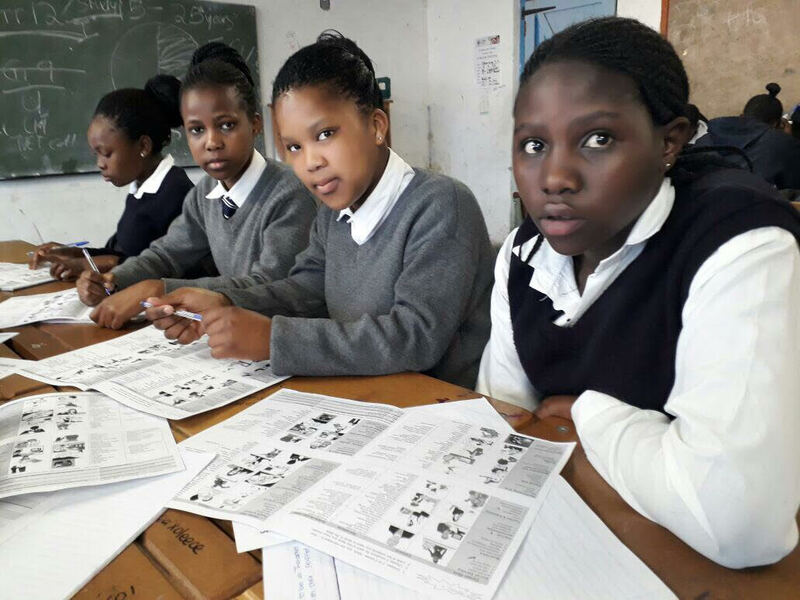 Our eight female students come from both Gansbaai and Stanford. At Growing the Future we aim to empower our students with the motivation and skills necessary to enable them to enter a brighter future. 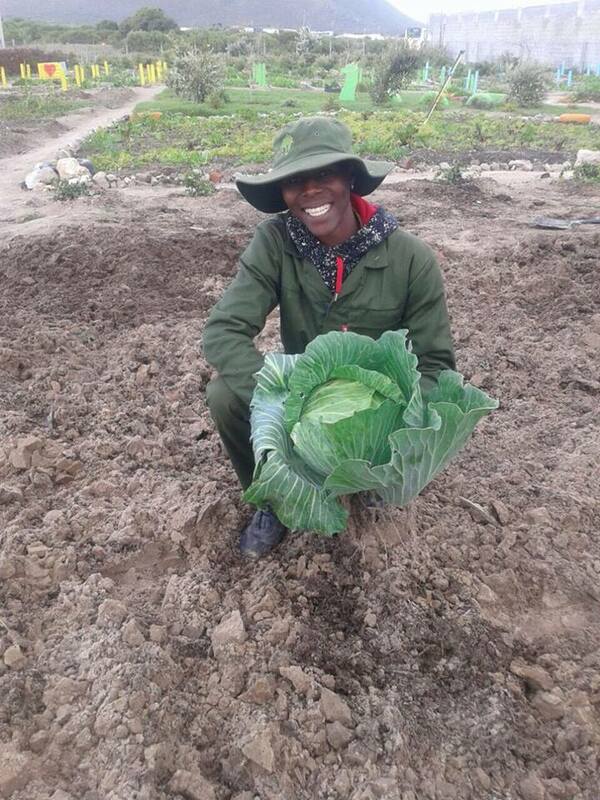 The Green Futures Horticulture and Life Skills College provides an annual training programme on Grootbos to 8 - 12 unemployed youths from the Gansbaai area in horticulture, indigenous gardening and life skills development. The course has been running since 2003 and 90% of graduates have found employment on completion of the course. This is testament to the success of this unique training model developed by Grootbos personnel. The horticultural component of the course includes plant identification, an appreciation of fynbos and its ecology, why and how it can be preserved, how to use it in indigenous gardening, fynbos propagation and nursery skills, garden design, as well as garden establishment and maintenance using waterwise techniques. All theory is backed up by a range of practical work in developing and maintaining gardens on Grootbos and for private clients. The sale of plants and provision of landscaping services by the students provides income to the college. In this way, through their labour, students help to pay for their own tuition. The life skills component of the course includes a first aid course, numeracy skills, literacy skills, health issues, an AIDS awareness programme, interpersonal skills, money management, basic computer skills, basic business skills as well as completing a driver’s license. The life skills component of the course has proven vital in assisting graduates to successfully find employment. In addition to the education curriculum, the college provides transport, breakfast and lunch, uniforms, equipment and a basic wage to students. Every year, three of the best students are given the opportunity to visit and work at the Eden Project in Cornwall, U.K. This is an amazing opportunity that opens their eyes to our dependence on plants and the natural world. The rest of the students are also provided with fascinating experiential training opportunities at Kirstenbosch and Harold Porter National Botanical Gardens. On completion of their course, the students are awarded a nationally accredited certificate in horticulture and are assisted in work placement. The Green Futures Horticultural and Life Skills College has its own nursery which sells plants at wholesale prices. 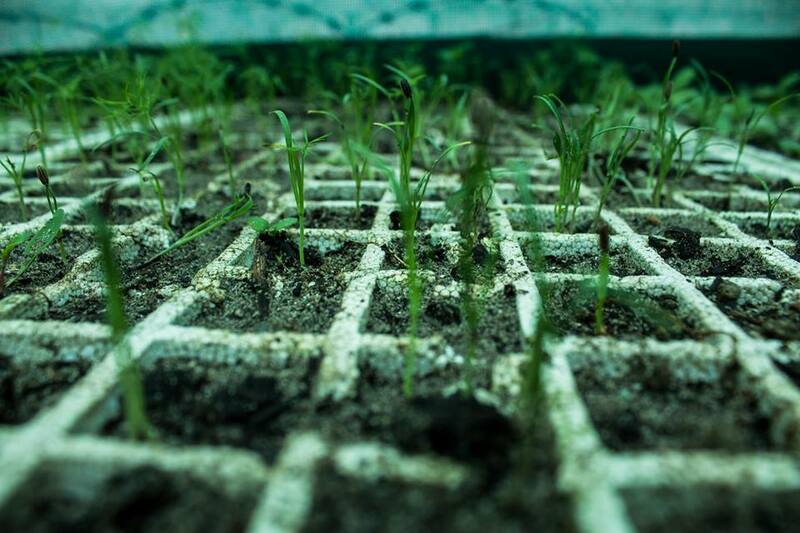 The plants are grown by the students as part of their training. Green Futures has approximately 150 different species of indigenous plants! The 2006 fire on Grootbos not only destroyed Forest Lodge, but also a large area of the ancient Milkwood forest behind the lodge. The fire struck the forest at midday, having burnt for more than a week under extremely hot and dry conditions. The result was that a large portion of the forest, including many ancient trees, was destroyed by the fire. The Future Trees Project aims to rehabilitate this area as well as other forest areas on Grootbos that have been impacted by human activities in the past. Early aerial photographs have provided a clear indication of changes to the forest edges as a result of human impacts, primarily wood cutting and exotic tree invasions over thelast 80 years. Appropriate indigenous trees have been grown by the Green Futures students to be used for the rehabilitation of these areas. Visitors to Grootbos can support the rehabilitation of these ancient Milkwood forests as well as contribute to the work of the foundation by getting their hands dirty and planting a tree.To date, close to 2000 trees have been planted though the project. 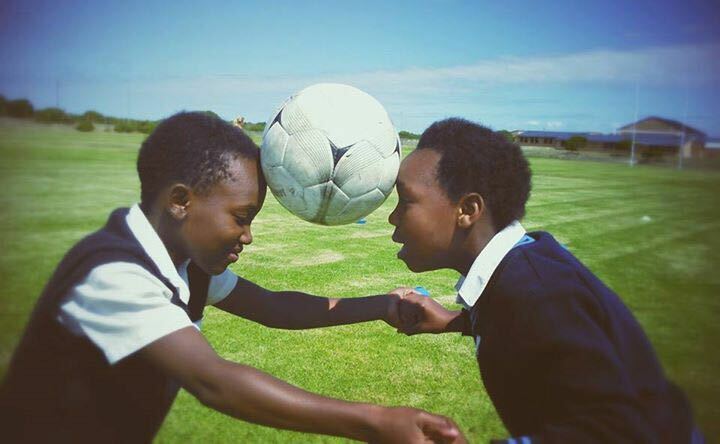 The Dibanisa Environmental Education Programme was started in 2010 and is a collaboration between the Grootbos Foundation, the Football Foundation and the Dyer Island Conservation Trust. 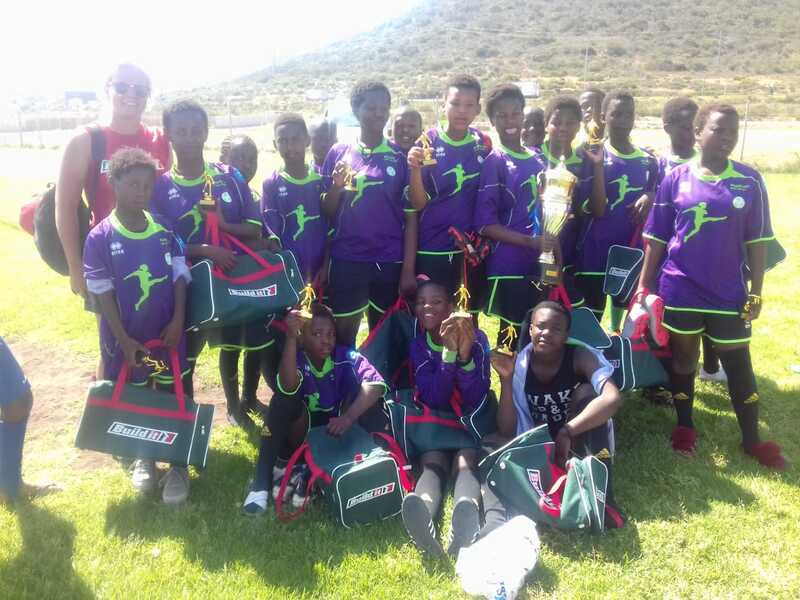 A group of 20 children is chosen amogst local Gansbaai or Stanford schools, who are then taken through a 7 week programme which teaches the kids more about their environment. The programme highlights the two main ecosystems i.e. 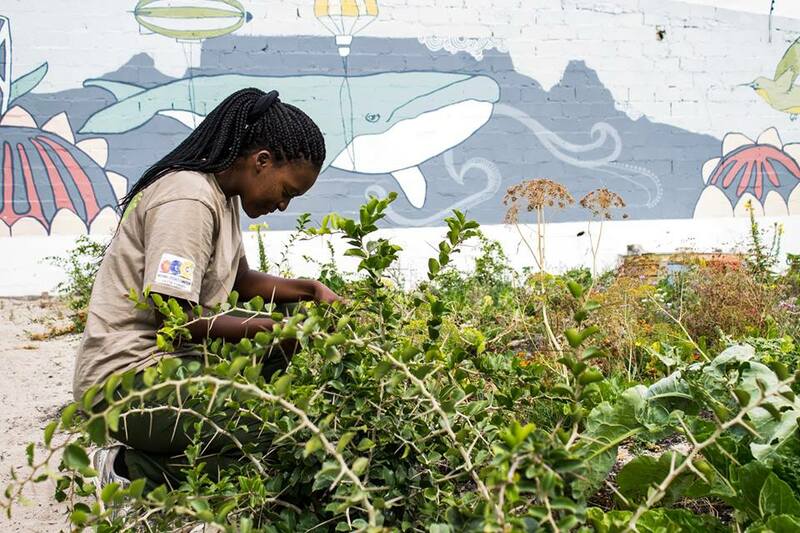 fynbos and the marine environment, teaches children about the importance of plants, sustainability, the Marine Big 5, a beach clean-up and an art lesson with the emphasis being on reducing, reusing and recycling. The programme ends with a camp in which what they have learnt is recapped and they are taken out of doors into nature or on an educational outing. 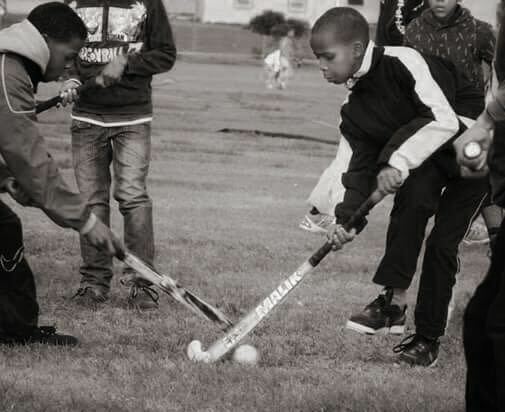 We are currently impacting approximately 80 children per year. The Grootbos Foundation was established in 2004 in order to run the non-profit activities of the Grootbos Nature Reserve - a unique destination world renowned for its ecotourism in South Africa. These activities include various social responsiblity and conservation projects. The Grootbos Foundation is a registered Section 21 Company (not for profit). 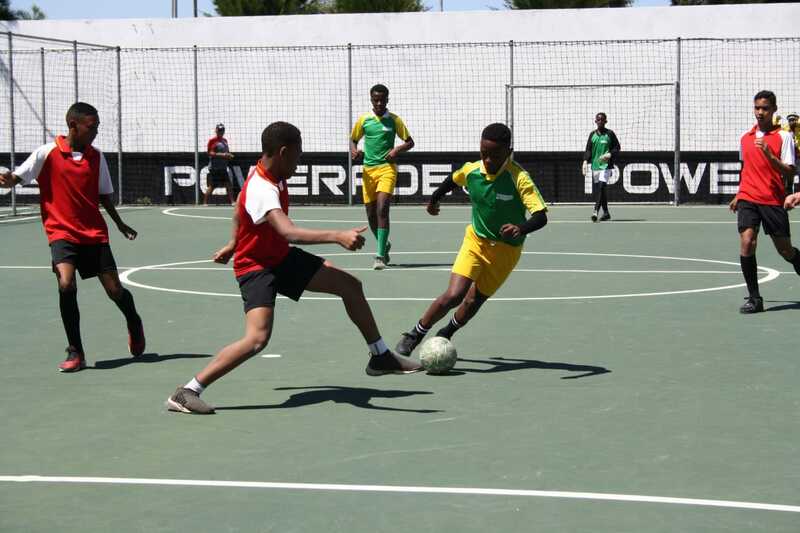 Our programmes are fully sponsored for all of our participants which include two adult education facilities and various sports programmes which benefit not only the Gansbaai community but also Stanford and Hermaus. Our Green Futures and Growing the Future projects each have a self funding component through their sale of their home grown plants and produce. Support our Future Trees Programme and the Foundation by planting a tree in our forest rehabilation project. The "Field Guide to the Flora of the Grootbos Nature Reserve and the Walker Bay region" is in sold in aid of the Foundation. You can purchase this beautiful field guide from our office! All of our students are fully kitted out with a uniform, T-shirts, shoes, a cap and beanie for their time at Green Futures or Growing the Future. All students receive a set of tools at the start of their course. This consists of a large fork, a small fork, a large spade, a small spade and a secateurs. 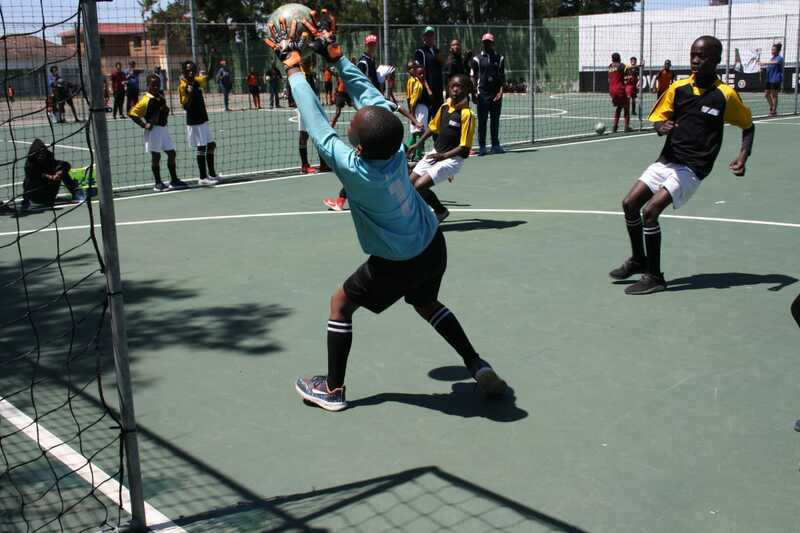 Besides football, the Football Foundation also coaches hockey, netball and athletics to children aged 6 to 19 years of age. 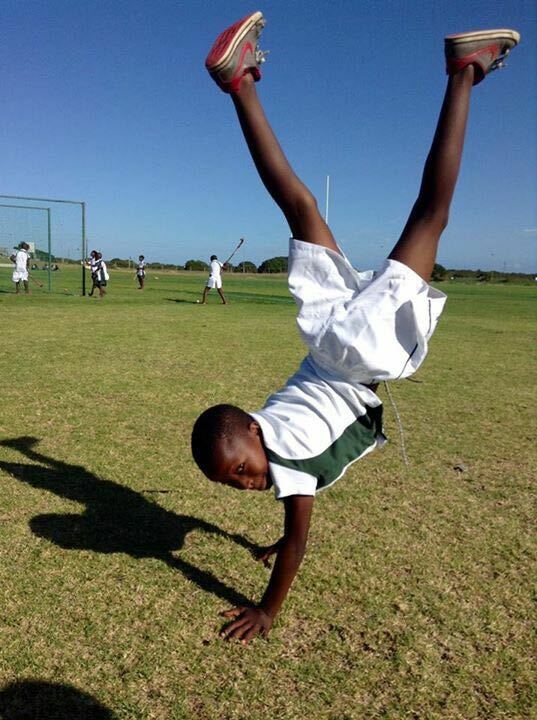 Support a child by sponsoring their sports kit. Occasionally an opportunity arises that can change your life forever. 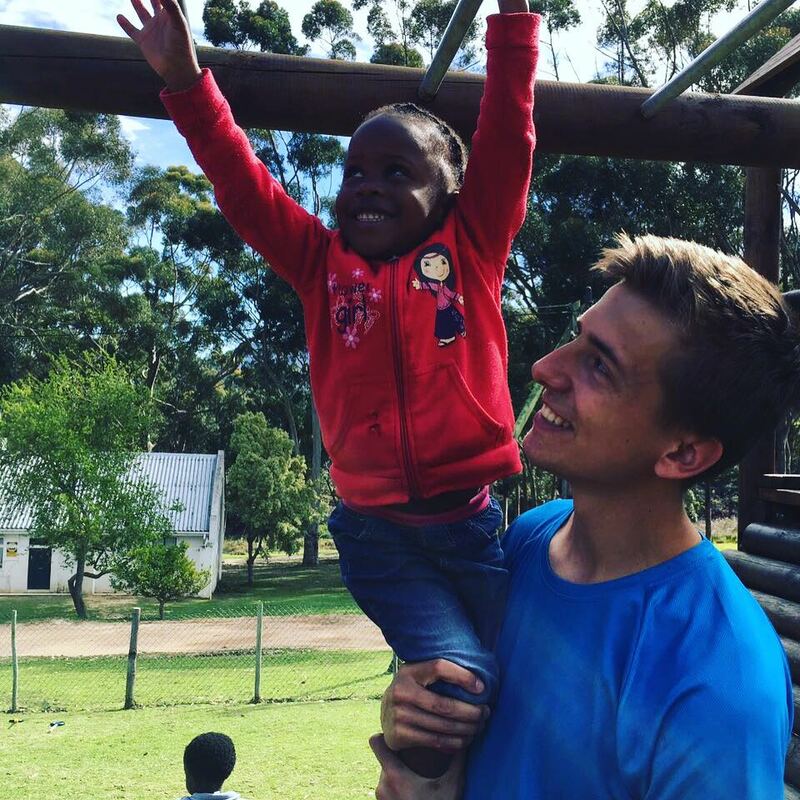 Our volunteer programme is tailor-made for individuals who are passionate about making a difference in the world. 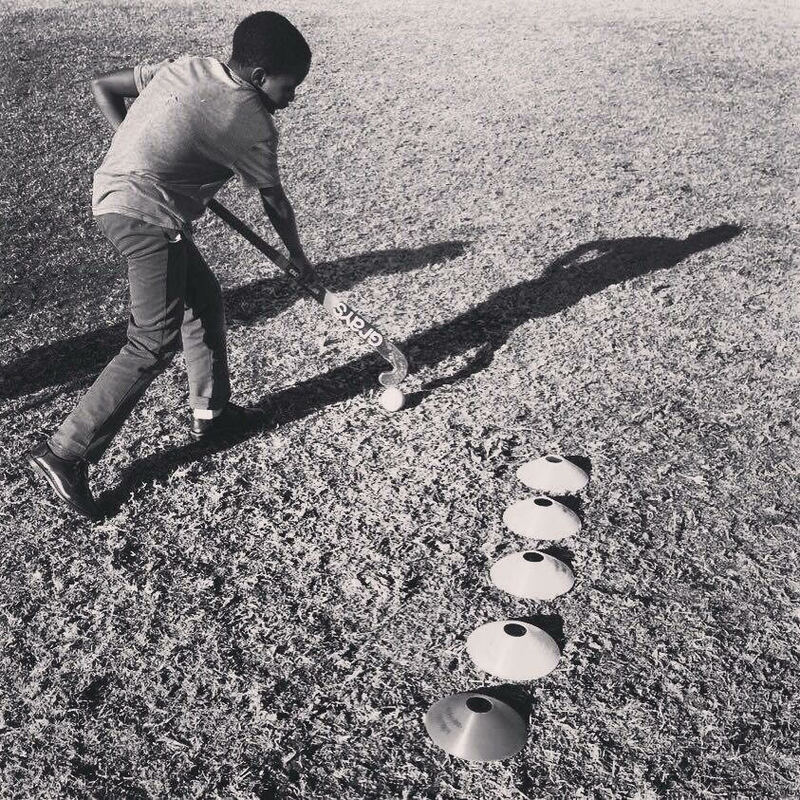 It gives you the opportunity to get involved in a hands-on way and to leave a lasting footprint in South Africa. Meet like-minded people, conserve, teach and develop valuable skills on this unique and truly rewarding journey! The Grootbos Foundation is a non-profit organization based in Gansbaai in the Western Cape, South Africa. 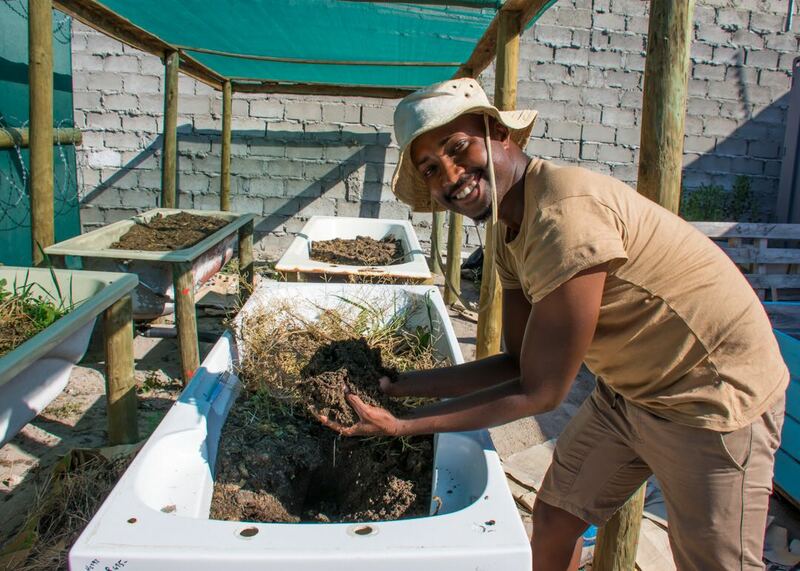 The Foundation was established in 2004 in order to manage and implement environmental and social development projects for the 5-star Grootbos Private Nature Reserve, a unique destination world-renowned for its eco tourism. The mission of the Foundation is the conservation of biodiversity of Grootbos and its surrounds, and development of sustainable nature based livelihoods through ecotourism, research, management and education. The Grootbos Foundation is a Section 21 Company (non-profit) and is a registered Public Benefit Organisation (PBO). As a non-profit organization our accounts are transparent and we are independently audited on an annual basis by the international auditing firm, KPMG. Our education and training projects reach children from 3 – 18 years, and adults from previously disadvantaged backgrounds. Projects include children’s sports and education, and the training of unemployed persons in agriculture, horticulture, conservation and tourism. 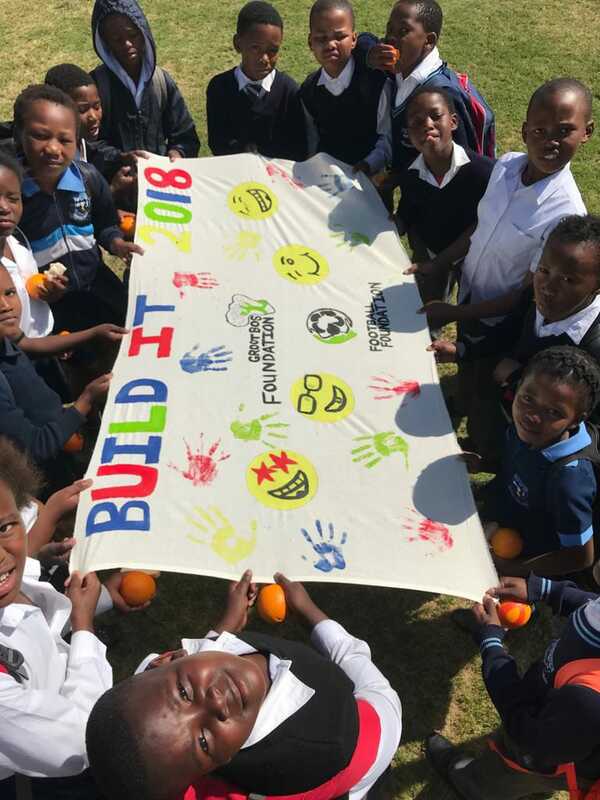 All projects share the same philosophy whereby the Foundation provides both a technical skill as well as life skills development for the students. Rediscover yourself and your place in the world! 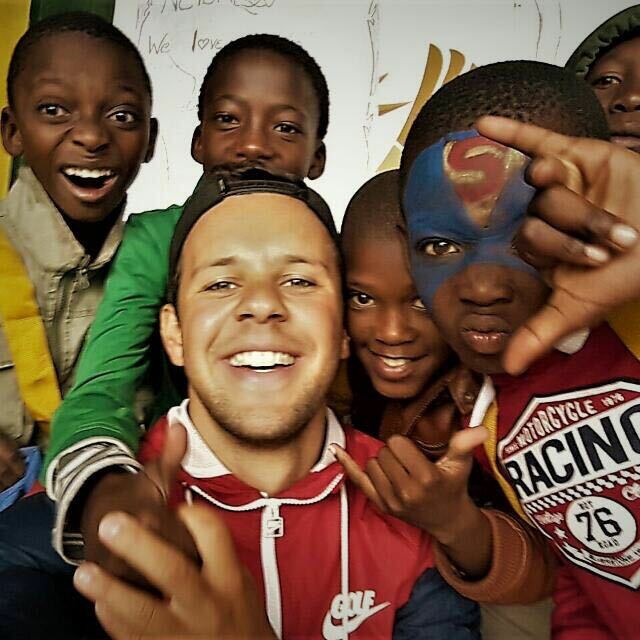 Join our volunteer programme during your holiday, gap year, student or career break. 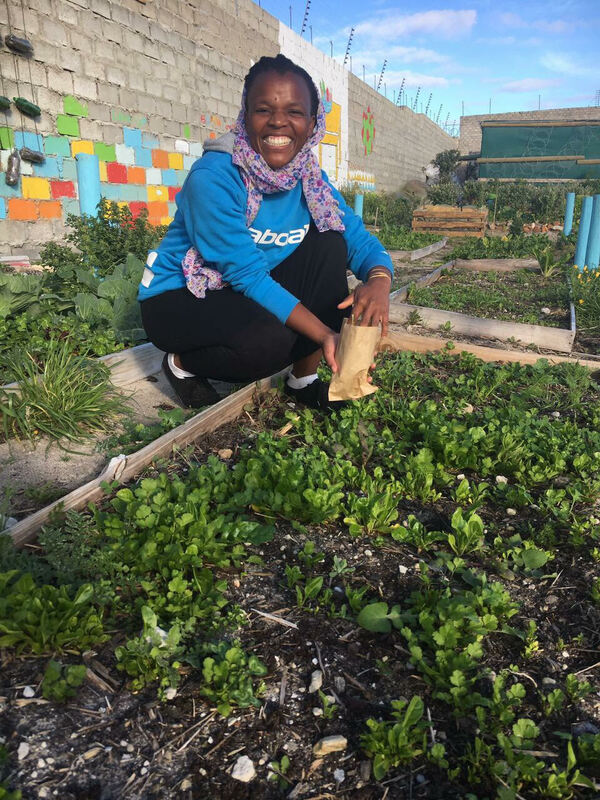 As volunteer you will get involved with the ongoing and diverse social development and conservation projects which take place on the reserve and in the surrounding communities of Gansbaai, Stanford and Hermanus. You will stay in one of the richest floral kingdoms in the world – the Cape Floral Kingdom, surrounded by the Atlantic Ocean, near the most southern tip of Africa – Cape Agulhas, providing for breathtaking scenery. As a volunteer you can expect endless opportunities in our captivating country, which offers an unbelievable diversity of nature and cultural activity. 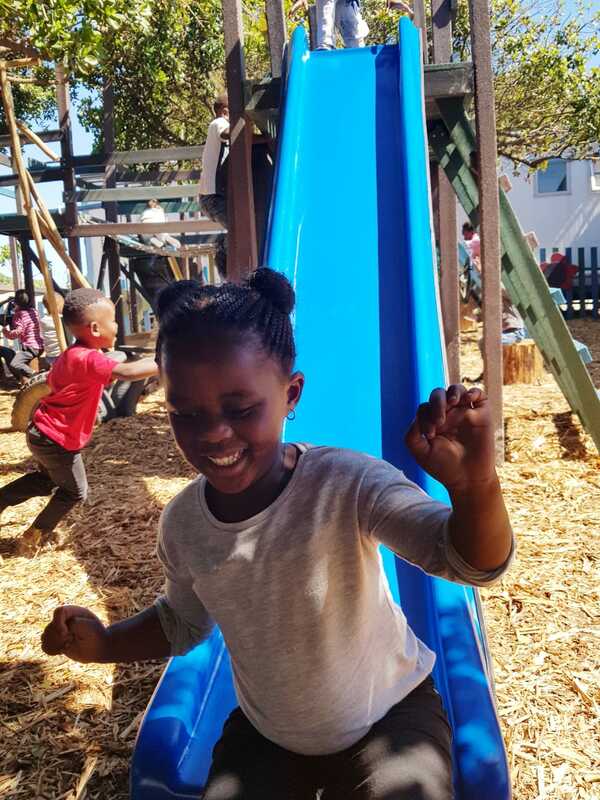 Apart from the vibrant projects you will be supporting, there are very exciting activities lined up for you like White Shark Cage Diving, Whale watching, horse riding, hiking, swimming, township experiences and many more. Our staff live with or near you and are on call 24/7 to make sure you are safe, informed and making the most out of your experience abroad. All our staff have been involved in conservation and community development for many years and will be able to assist with any questions. They can also assist with advice on fundraising for your trip. We can supply contact details of previous volunteers, or of your fellow volunteers so you can get in touch before your journey begins. The majority of our placements run all year round, which allows for flexibility on start dates. A genuine desire to make a difference in the lives of others. Our affordable volunteer programme includes various activities and excursions that will help to make this an adventure etched in your memory for years to come! 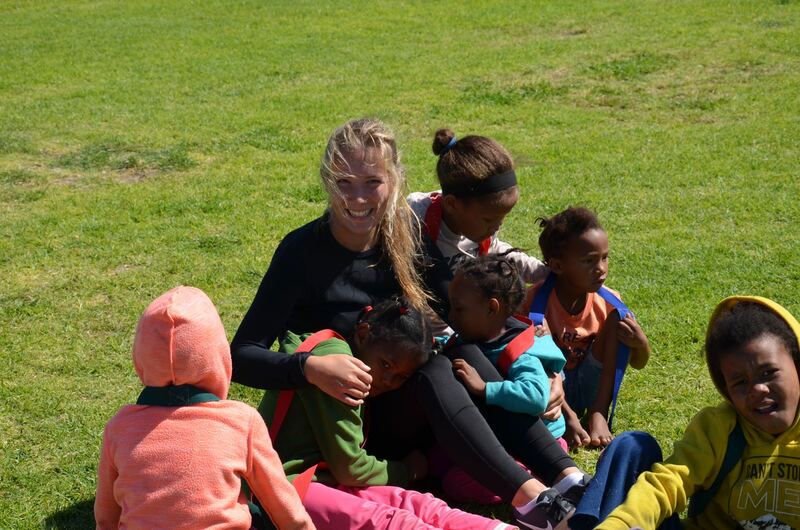 A dedicated volunteer coordinator will guide you on your journey from the initial application process, meet you at the airport, provide transport to Gansbaai and assist you with settling into the volunteer accommodation. You will receive a South African SIM card for your mobile phone upon arrival. Please enquire for more information about costs and availability. You will be staying in a large communal volunteer house in Gansbaai, sharing bedrooms and bathroom facilities (including linen). All rooms are single gender. There is a lounge with an indoor braai (BBQ) facility and TV, large dining room and a fully equipped kitchen with a fridge, stove, oven, microwave, cutlery, crockery and cooking utensils. The house is centrally located in Gansbaai overlooking the Gansbaai Harbour: 5 minutes’ walk to shops, restaurants and internet cafés, and 15 minutes’ walk to the beach. The volunteer car is available for travelling at night or on weekends. The working week whilst on the project is Monday to Friday and weekends when requested. Evenings, some mornings and the majority of the weekends are spent at leisure. During the evenings volunteers can relax at the accommodation or take advantage of one of the local bars or restaurants. During weekends you can explore some of the surrounding attractions such as the Overberg, Cape Town, Cape Agulhas, Robertson, Montague or the Garden Route. We understand that you are offering your time and dedication in volunteering during a student or career break; we will provide the best possible service to accommodate your needs. Our staff are committed to and passionate about their work, and value you as volunteer. 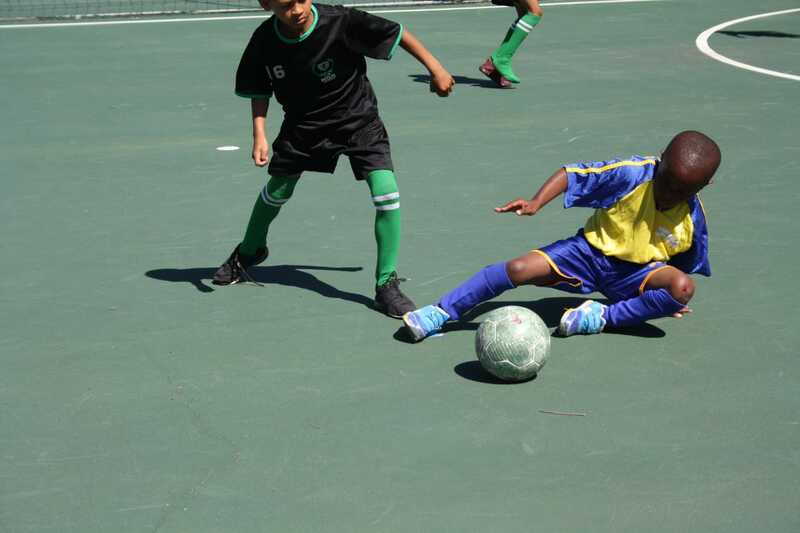 The Foundation is a NGO that promotes social change through its various projects. A number of independent research studies have shown that our programmes directly benefit the individuals and the communities and that it is making a difference. 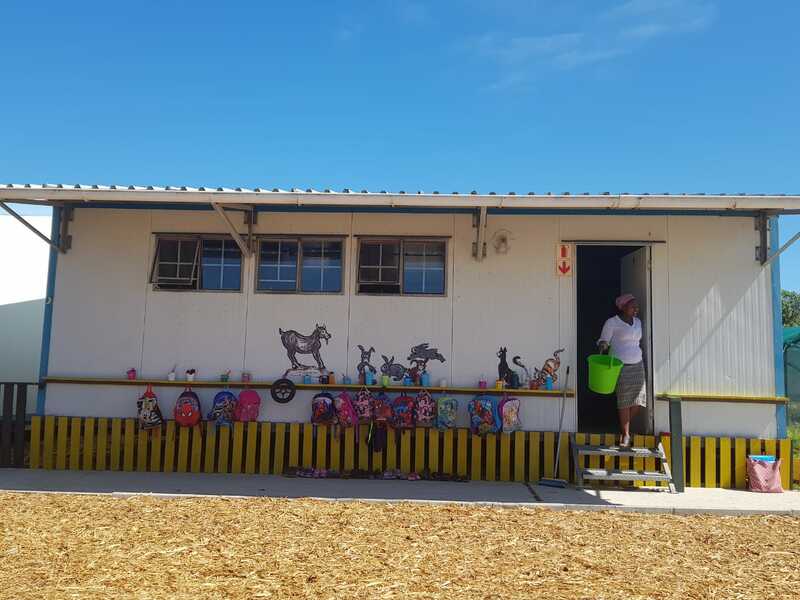 The Grootbos Foundation is kickstarting the 2019 school year with 500 Back2School Boxes. The opportunity of a life time!